This entry was posted in Recovery & Support on April 16, 2015 by Platinum. In a world that often honors superficiality, it can be difficult to genuinely be yourself. Through society and culture, we are often taught to hide pain and emotions, hold back tears, and are expected to bounce back quickly after any situation that may be remotely devastating. The problem with this is that it does not teach us to effectively cope with struggles, and the internalization of pain can become problematic. While addictions are the result of many complex factors, including biology, personality, and genetics, susceptible individuals might be triggered by certain environmental risks, such as trauma, abuse, violence and more. While there is no one factor that can be pinpointed for addition development, poor coping skills can play a role for many addicts. For some people who cannot manage the many emotions they might experience throughout their life, addiction to drugs or alcohol can be come a way to numb layers of pain and hurt. For this reason, psychotherapy is an effective form of treatment for addiction, as it helps an individual work through struggles from the past and present and develop healthier coping mechanisms instead of turning to drugs or alcohol abuse/addiction. Psychotherapy can occur on both an individual and group setting. 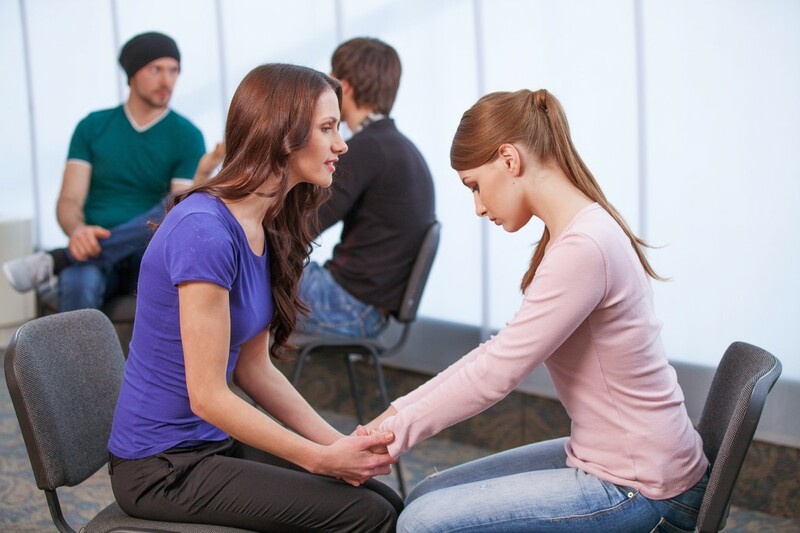 A combination of both individual and group therapy can help a person begin to process through their struggles, allowing for healing and recovery. Some recovering addicts may find that speaking and processing openly in groups settings is more difficult, as the type of environment may make one feel more vulnerable or exposed. Taking baby steps and finding the courage to be open and genuine about sharing your struggles can be incredibly therapeutic and an important part of your healing journey. Because the addiction community is so closely knit, you will likely find that you are able to share openly without judgment and that you will be received warmly and with open arms. Many individuals within a group setting for addiction can empathize your pain and struggles and willing support you through any struggles you might be facing. While your addiction or habits from the past may want you to isolate from a community, hiding your pain will only hinder your healing and recovery. Even if you feel you cannot quite express yourself in a group setting, do not keep your struggles to yourself. Confide in someone you love and in whom you can trust to support you through any obstacle you might face. What are some fears you may have about sharing your struggles in a group setting? What are some ways to overcome these fears?